Trier is an example of a large Roman capital after the division of the empire. The remains of the Imperial Palace, in addition to the Aula Palatina and the Imperial Thermae, are impressive in their dimensions. The city bears exceptional testimony to Roman civilization owing to the density and the quality of the monuments preserved: the bridge, the remains of the fortified wall, thermae, amphitheater, storehouses, etc. In particular, funerary art and the craftsmanship of potters, glassworkers, and moneyers flourished in the city. Sometimes referred to as the ‘second Rome’, Trier had no claim to this title until the division of the empire by Diocletian in 286 and the institution of the Tetrarchy seven years later. However, even before this era, the Roman city was flourishing. The original centre of the colonial town, the regular insulae, for the most part built during the reign of Claudius (41-54), had extended so much by the mid-2nd century that a wall was built, enclosing the industrial quarters and the nearest thermae (baths) to the south, the amphitheatre, which extended beyond the decumanus maximus to the east, and, most likely, a hippodrome. At the same time, a sandstone and basalt bridge was built over the Moselle, extending westward from the decumanus, which replaced an earlier construction, the foundations of which have been found. 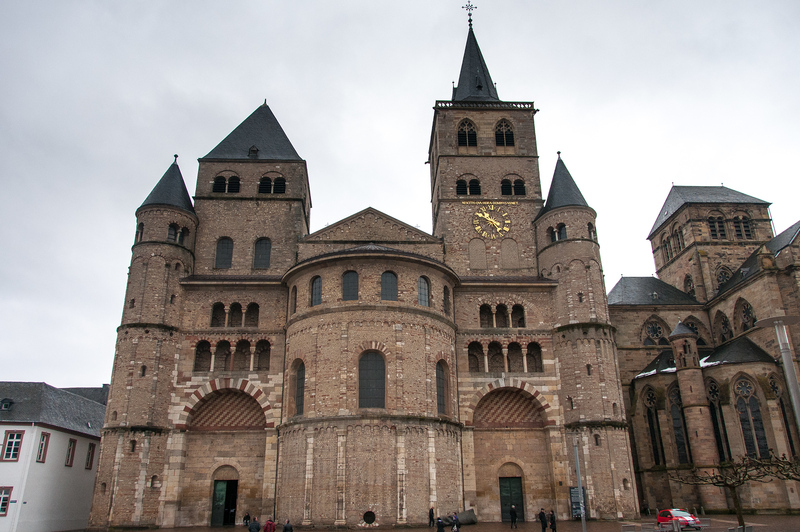 It was in Trier that in 326 Constantine founded the twin basilicas to commemorate his twenty years of power; they live on in the form of the Cathedral and the Church of Our Lady. After the death of the great emperor in 337, Trier was the place of residence of his son, Constantine II, and afterward of Valentinian and Gratian. As well as being the capital of the Empire, Trier was additionally the location of the Prefecture of Gaul, an immense administrative district which stretched from the limes Germanicus to the Atlantic and from Hadrian’s Wall to Tingitana in Mauritania. Trier is amazing. I had no idea of the rich history of the city, which is the oldest in all of Germany. It is the oldest city is Germany. St. Peter’s Cathedral (shown left) is the oldest church in Germany and one of the oldest in all of Europe. St. Mary’s is the oldest gothic church in Germany (shown right). It was the seat of several Roman emperors including Constantine. It has the best intact gate of a roman city wall, the Ponta Negra. There are ruins of several roman baths in the city. The pillars of a roman bridge are still in use supporting modern bridges. It was the birthplace of Karl Marx (which draws thousands of Chinese tourists). Trier used to be one of the most important cities in the western world, a fact which escapes most people. It is similar to what I saw in Tarragona, Spain but probably even more significant because it was also an imperial city. 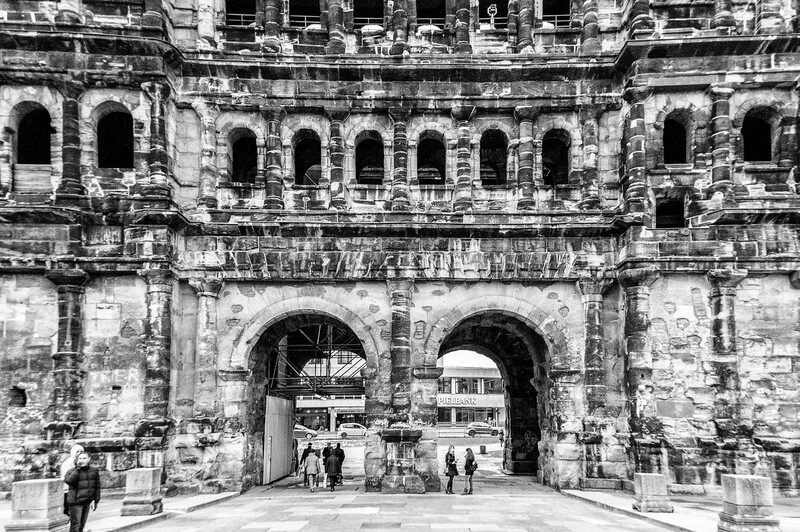 If you have an even remote interest in Roman history, archeology or architecture, Trier should be on your list of places to visit. It is close to the borders of both Luxembourg and France and is easily accessible. The Roman Monuments, Cathedral of St Peter and Church of Our Lady in Trier is a collection of different component sites that reflect the Roman Empire’s presence in the city of Trier. It is the oldest city in Germany and as such there are several historical monuments found here. In fact, there was a time wherein the city of Trier is considered as one of the most important cities for the Roman Empire, aside from Rome itself. The Black Gate or the Porta Nigra is one of the major landmarks in the city. It is also recognized as the best preserved Roman building located north of the Alps. Another notable attraction is the Dom, wherein the Holy Robe is housed in. The Trier Bridge is part of the constituent site of the Roman Monuments, Cathedral of St Peter and Church of Our Lady in Trier. This Roman bridge is the oldest standing bridge in Germany, not just in Trier. It is composed of nine pillars that were built in 2nd century AD. The upper part of the bridge underwent renovation or reconstruction twice (during the early 12th and 18th century) since it was devastated by the war. The bridge is made entirely out of stone materials. The Cathedral of Trier is a Roman Catholic church that is part of the Roman Monuments, Cathedral of St Peter and Church of Our Lady in Trier. Its official name is the High Cathedral of Saint Peter in Trier. It is the oldest cathedral in Germany as it was constructed in 1270. It also remains active today. 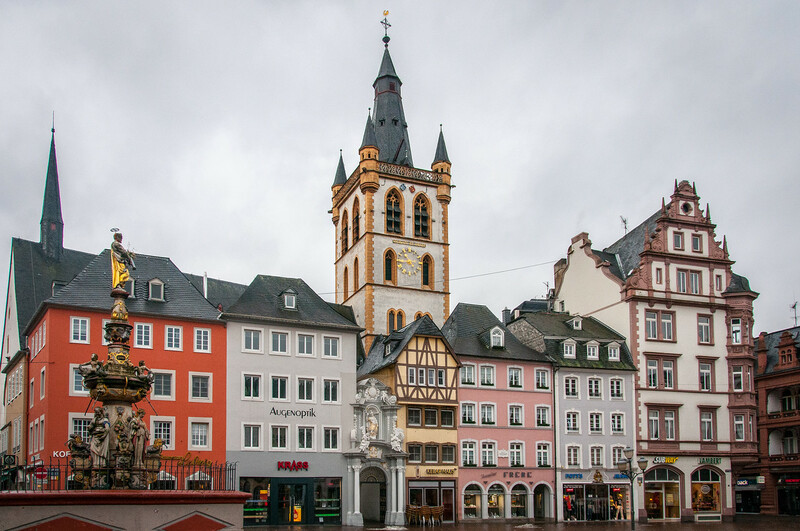 The Church of Our Lady in Trier is also a notable site included in the UNESCO protected area. This Gothic church was completed in 1260 CE and is known as the earliest Gothic church to ever be built in Germany. This church features the typical characteristics of a French Gothic architectural style. 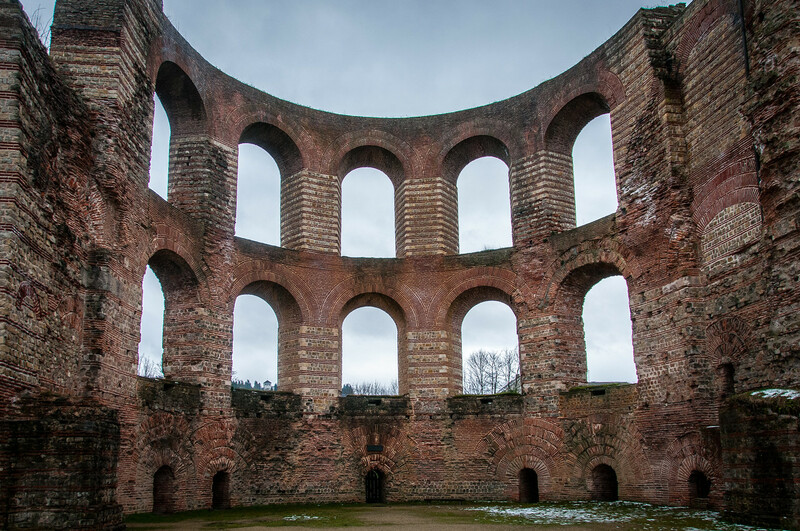 All of these sites and ruins bear the example of the spread of Roman Civilization in Trier, Germany. Aside from that, it also earned the attention from UNESCO for the density and quality of these monuments.